As you read this, people are making video games for the next PlayStation and the next Xbox. They have been for many, many weeks. But last week, at E3, where the biggest video game companies were ostensibly talking about the biggest video games on the horizon, not a single soul would officially discuss the PlayStation 4 or the Xbox 720 (made-up names, mind you; the official code names are Orbis and Durango, respectively). The Xbox and PlayStation people don't want you thinking too much about next-gen systems yet, because they want you buying their games and current consoles in 2012. They might want you to think about their next machines closer to the end of this year, when Nintendo's next box, the Wii U comes out. Or maybe they'll wait until early 2013—mid 2013 at the latest—to confirm the open secret that the next Xbox and PlayStation will be out by the end of 2013. But, who is kidding whom? At E3, with possibly next-gen games like Star Wars 1313 and Watch Dogs being shown with a wink by major game companies—and with Epic Games unveiling their next-gen graphics engine, the Unreal Engine 4—I just had to ask top people at Microsoft and Sony about their next systems. Phil Spencer, Microsoft: "I will say that Epic has been a partner for us for many years. But they've never been an exclusive studio to us. They've done [the multiplatform] Bulletstorm, and Infinity Blade on iPad. They're an independent studio in every sense of the word. But they also remain great partners of ours, and as we look at UE4 and other work we obviously work with them around that technology and how that fits in... "
Me: "For what? What would you be using Unreal Engine 4 on?" Spencer: "I think high-end PC gaming." Me: "Oh. Oh, really. Thank you." Another one with Spencer, who I should note, was cheerful about all of this. 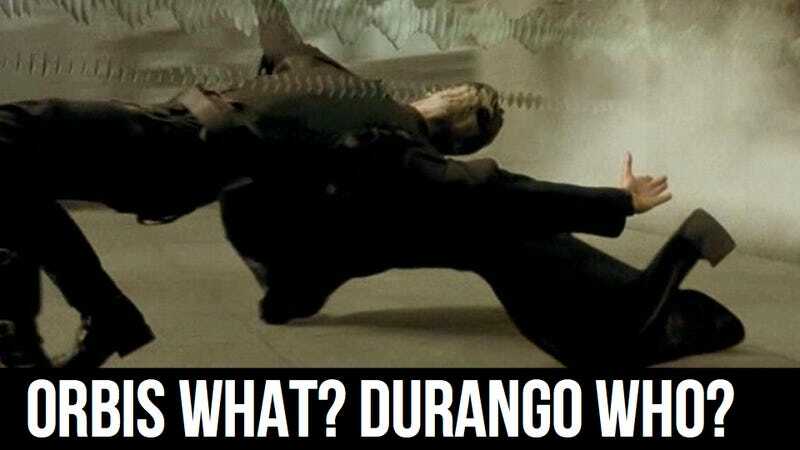 Remember, the codename for the next Xbox is Durango, though Microsoft has never officially acknowledged this. Me: "What do you want to tell me about Durango?" Spencer: "Uh, I've been to Durango." Me: "A year from now, will we be talking about the next-gen Xbox?" Spencer: "I don't know. It's..."
Me: "Oh, come on, you know." Spencer: "No, I don't know what we'll be talking about a year from now. It's a factual statement. I don't even know if we'll talk next year. [laughs] I don't think we talked last year, if I remember correctly. " Me: "No. [We did not.]" Spencer: "You're going to get the canned answer from me, but I actually believe it. I run studios. I'm here to build content. And it's a great time to build content on the 360. There are millions of customers out there. There's a huge installed base. I love being able to build products... I'll pick on my Minecraft example again.. of taking a product—I don't know if you call it a niche product—and putting it out and you sell two million units in a month. Part of that unique opportunity is that you're shipping to the number one console globally, with this huge marketplace of online content and digital consumers. That's a great time to be creating content. For me, creating content, this is a great time to be focused on Xbox. And I look around the hall and I see what they're doing with Assassin's Creed and other stuff..."
Me: "Tell me everything you want to tell me about Orbis." John Koller, Sony: [laughs] "No update. You were saving that toward the end. You're like a deposition, wearing you down! And then the last question.. "
Me: "Well if you saw our other coverage, I assume you saw our Orbis coverage. People are excited about the PlayStation 4. How's development going?" Me: "Are you allowed to say the words 'PlayStation 4'?" Koller: "We're not talking about any of that. [laughs] Good questions, though!" As I reported yesterday, Koller's boss, Sony Computer Entertainment of America president Jack Tretton did dance into general next-gen talk a little with Geoff Keighly; just to say they want to have the best machine, price and release date be damned. That's about all you'll get from these guys this year. I wasn't expecting much more and didn't expect them to divulge PlayStation 4 and Xbox 720 plans. There is, however, the world of video games according to marketing plans and the world of videos games according to what's actually happening. Only one of those is real. We are, at most, a year from having these Sony and Microsoft folks freed up to publicly acknowledge the world we're actually living in. For now, we can at least share a knowing laugh?